Posted on Tuesday, January 5th, 2016, by Brenda Pottinger under Favorites. 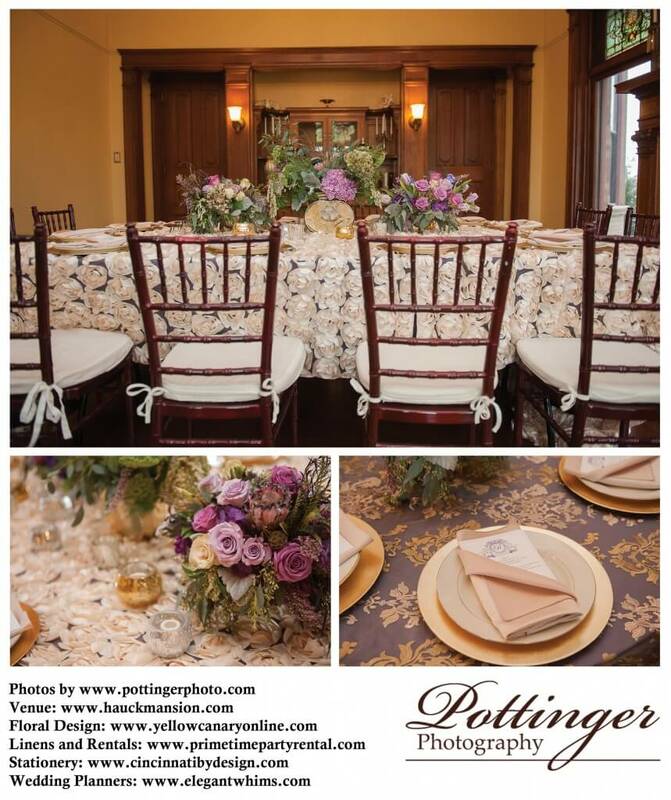 We love the romantic look of this gold, purple and ivory color pallette at this Cincinnati vintage mansion. If these walls could talk the stories would be of fine dining and elegant music. It is the perfect setting for an intimate wedding or dinner party. To see more photos be sure to check out our full feature on the WeddingLovely Blog!